Q – Sudesh Grover, Delhi, India – There are so many spiritual people, astrologers, occultists and gurus in every city so how do you differ from them in your goal? 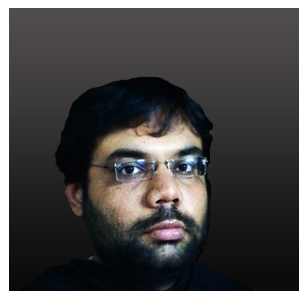 Acharya Karan V – I have researched palmistry and astrology as my main subjects 12 years ago. Since then I have been practicing various other forms of occult sciences as well like numerology, face reading, vaastu, feng shui, rare siddhis like vashikaran, aakarshan etc. for which I traveled across India. Met many saints and other enlightened people during my journey. I have a strong influence of my father ‘Acharya Vinod’ on my life who has a deep inclination toward occult sciences and spirituality for the last 40 years. Yes I agree about the fact that there are so many consultants but only few have risen to the level where people not only recognize them but also have blind faith on them. As most of the occult sciences have faded due to time, the original books or literature is not present anywhere whatever is left is basic. Individual has to exercise and experiment on his own to reach the advance levels. Motives of the consultants are changing from enhancing real strength of the subject, helping the mankind to monetary benefits which is itself an irreversible damage to these sciences. My aim is to create such a unique platform where people can ask free advises and get a pool of totally free knowledge just a click away. Q – Mohini, Chennai, India – Its an awesome website never seen such a thing before? I appreciate whatever you are doing but how come you are doing everything for free or without any fee? Acharya Karan V – Since so many years I have been associated with many spiritual people especially got guidance from my father. Once you surf this website thoroughly you will realize that each and every bit of information is free above that one is most welcome to personally talk to me on my number without any consultation charges or special phone call charges at all. I am really eager to help people in whatever ways possible and spread spiritual awareness that can create wonders in one’s life. Further my strong belief is – A person from any country, religion or financial background can achieve true enlightenment. Q – Gaurav Tyagi, Delhi, India – The language you wrote is quiet simple and most of the ‘question answers’ are remarkable somehow I feel that you should also include some more info related to advance levels of spirituality? Which I personally feel is need of the time and moreover currently it is just confined to certain rare ancient books. Acharya Karan V – Language wise I haven’t used complex word formations so maximum people can understand what I really want to convey. Soon I will be launching the same website in many other foreign languages. As far as advance levels on any subject or spirituality is concerned will surely try to incorporate as much in my answers. My intentions remain true to create awareness and help people positively changing their respective lives. Q – Rini Kapoor, London, UK – You seem to be learned of all these occult sciences so does this mean your life is problem free? Acharya Karan V – The problems originate when we enter this world or become a life form. Any animal or living form on this planet has lots of problems to deal with but the genre differs. Nobody including me can escape them. The way one reacts to them makes a lot of difference which further makes you much stronger from inside. Now you would say how come birds flying in an open sky have problems? At first glance it would appear to you that their life is lot easier. During childhood we all at least once imagined our self being a bird flying in blue sky. But when we grew up or saw on different animal wildlife TV channels that their journey of life is full of fatal problems like being someone’s prey, group hierarchy, also basic one’s like food, water etc. similarly I also faced or still facing lots of problems in all parts of my life just like yours or any other person but pursuing these sciences and spirituality helps me to reduce my pain and other losses. That is why I always tell people that I cannot stop the rain but definitely provide you with a raincoat or umbrella or both to ease the things a bit.